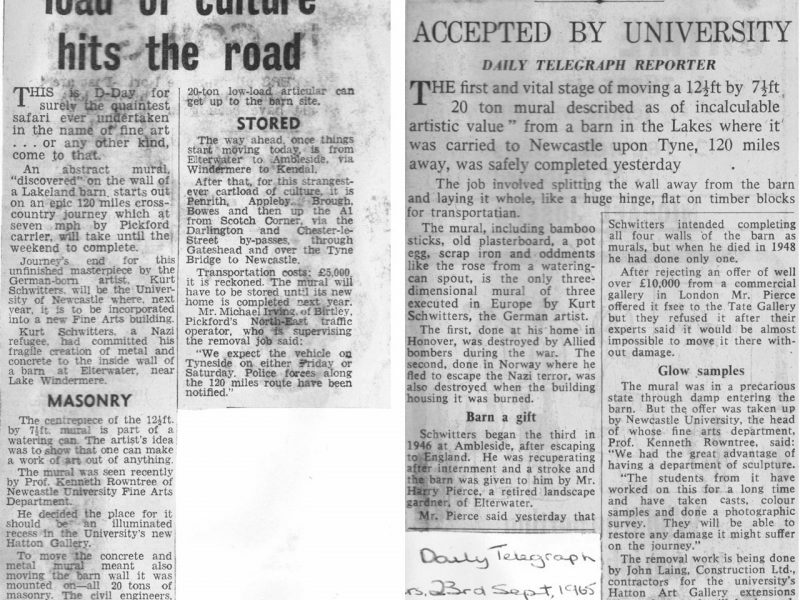 In 1965, Eduardo Paolozzi, as well as having a major exhibition in the Hatton Gallery, was also a visiting tutor in the Fine Art Department. 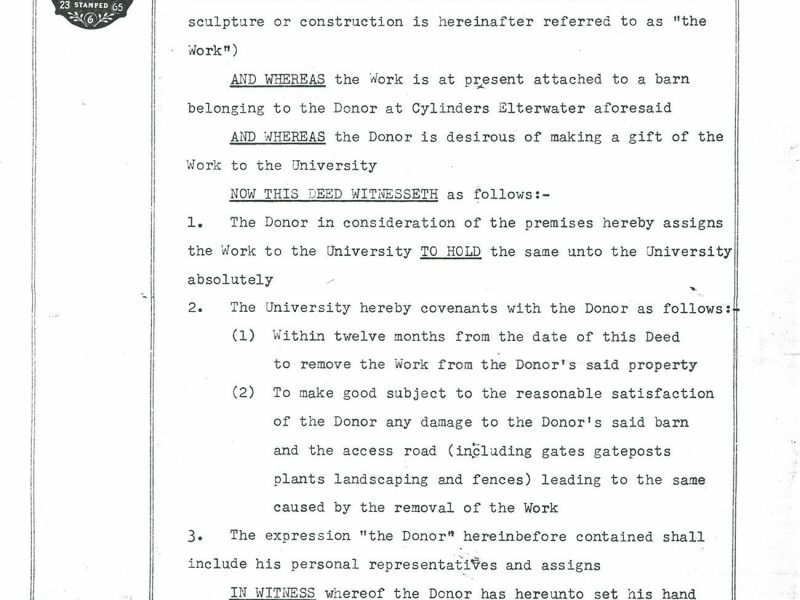 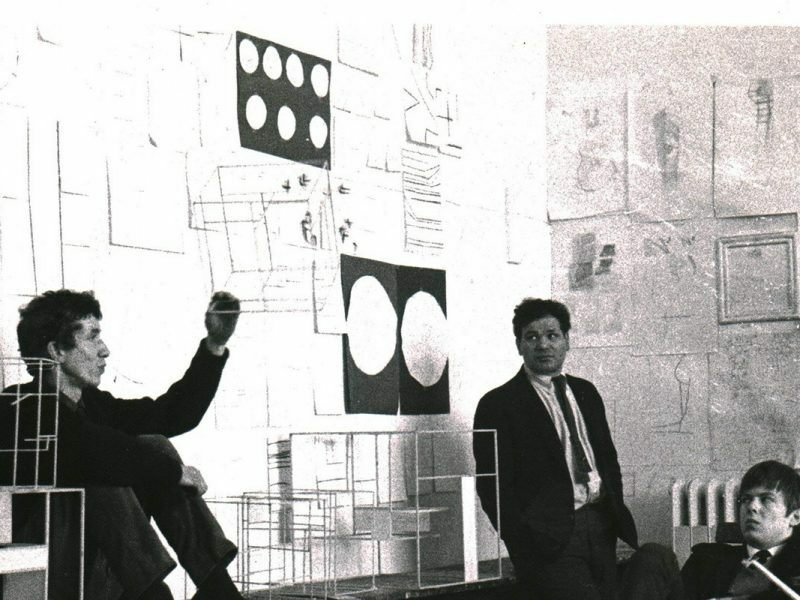 Like Richard Smith in 1963, he can be seen working across mediums, apparently giving hands on, practical instruction in the sculpture studio and involved in a discussion with painting lecturer Matt Rugg. 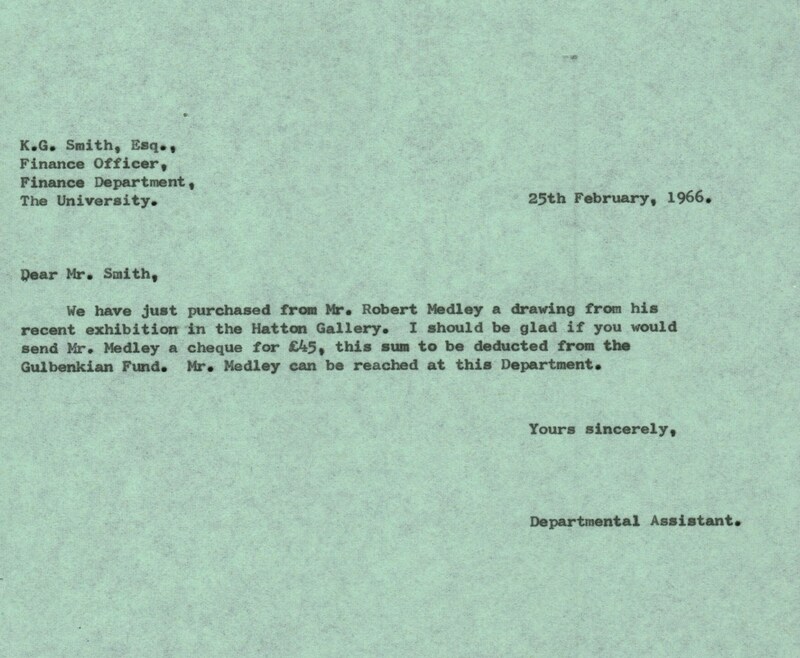 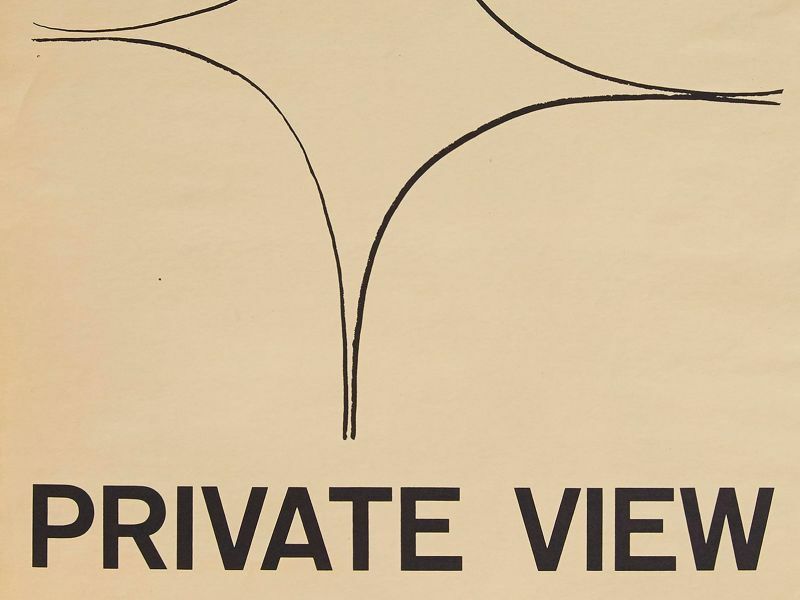 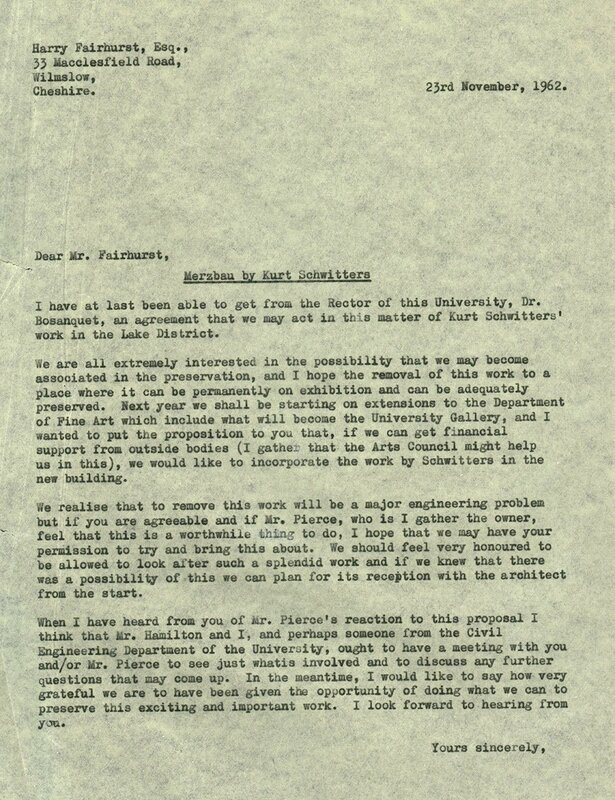 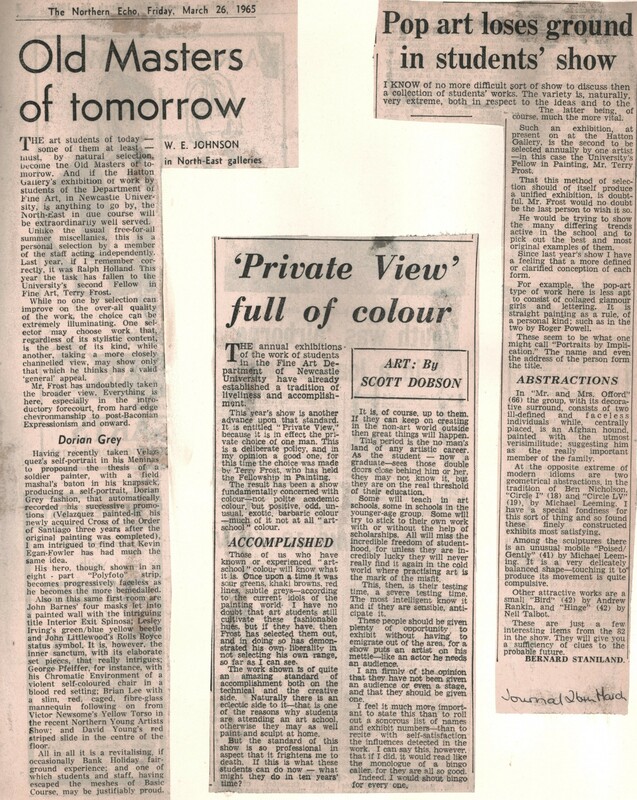 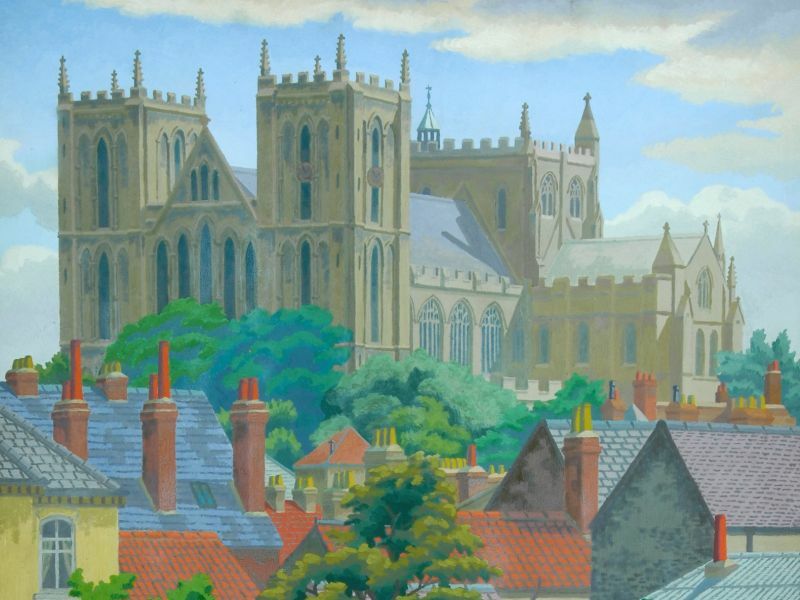 In 1964 Professor Rowntree had introduced a new student exhibition called ‘Private View’ in the Feb-April period. 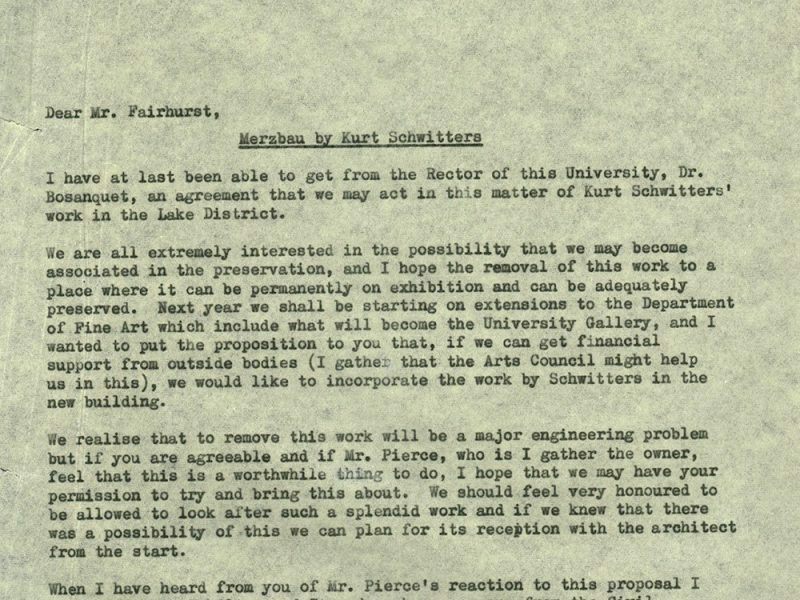 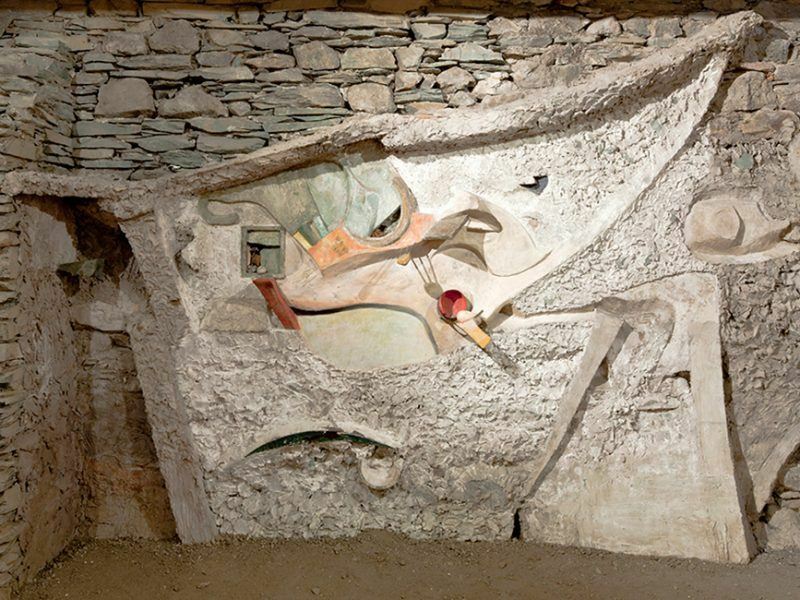 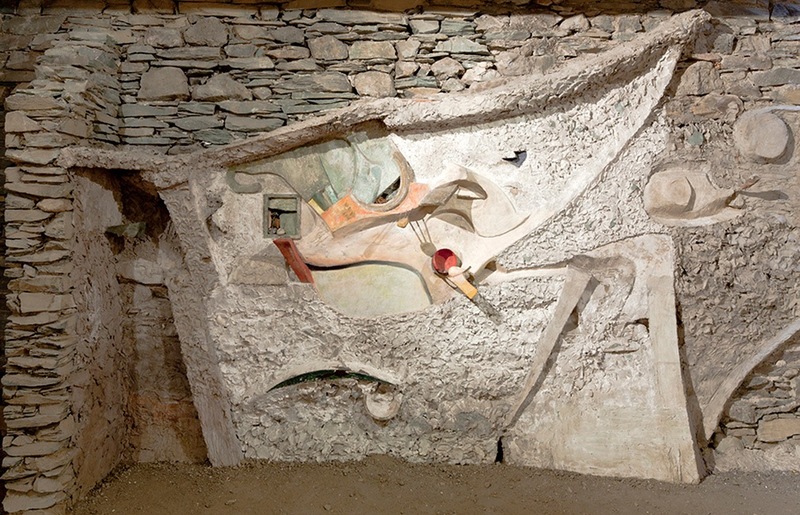 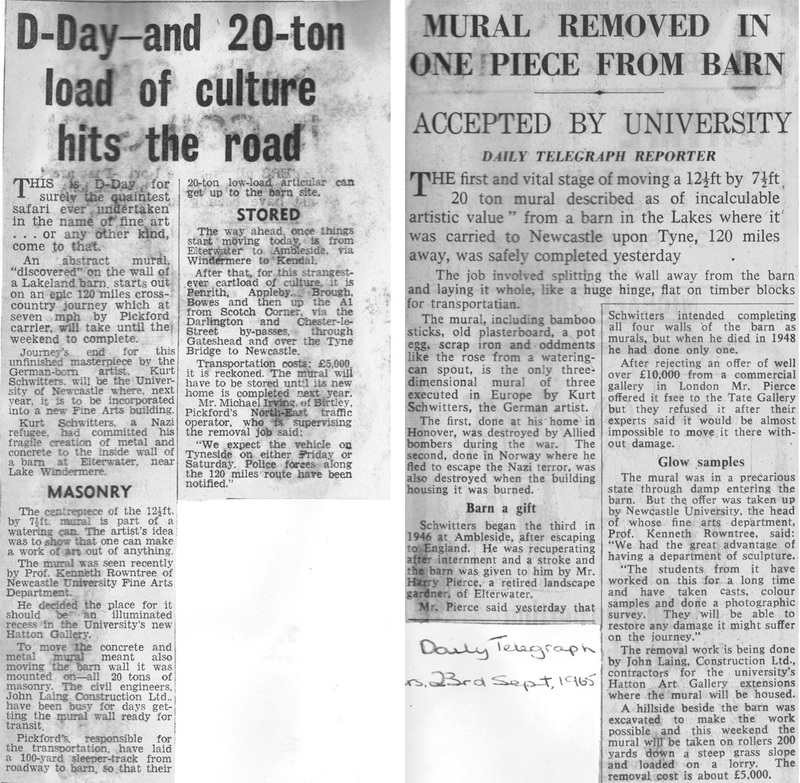 Replacing a regular ‘Work in Progress’ exhibition, the new innovation was that it would be selected by a different art world figure each year, in the opening year this had been the Department’s Art Historian, Ralph Holland. 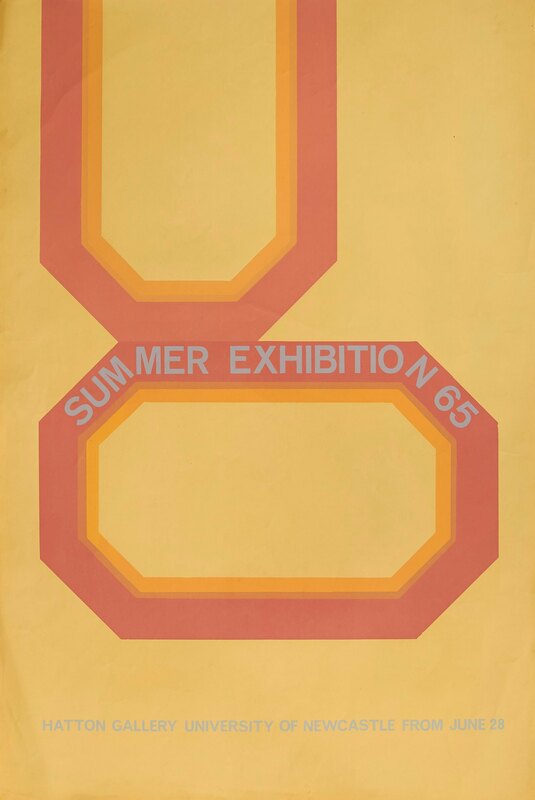 In 1965 the exhibition was selected by artist Terry Frost, who had been an artist-in-residence in the Fine Art Department in 1964 and may well have designed the poster himself. 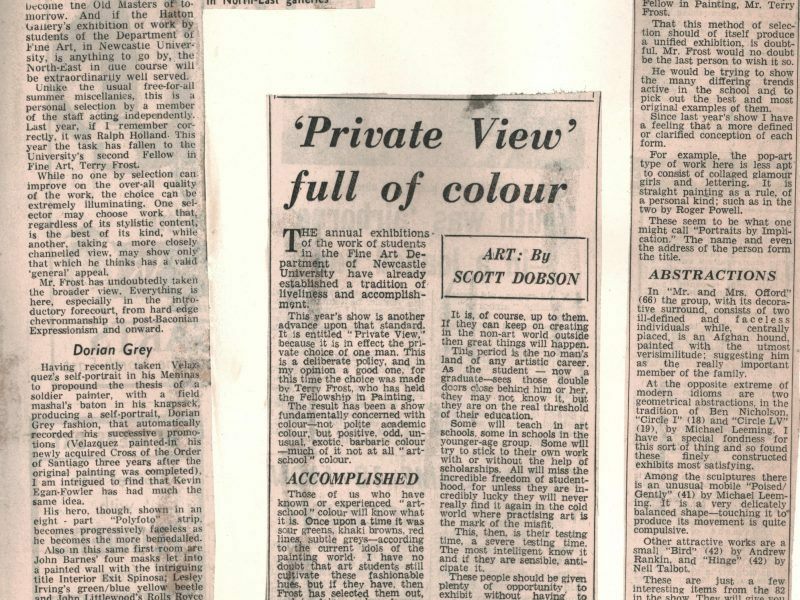 The Terry Frost selected ‘Private View’ exhibition warranted reviews from three of the North East’s leading critics, for W.E.Johnson the exhibition had everything from ‘hard-edged chrevronmanship to post-Baconian Expressionism and onward.’ Scott Dobson thought ‘the work shown is of quite an amazing standard of accomplishment both on the technical and creative side’, so much so that he didn’t want to single out anyone for special mention. 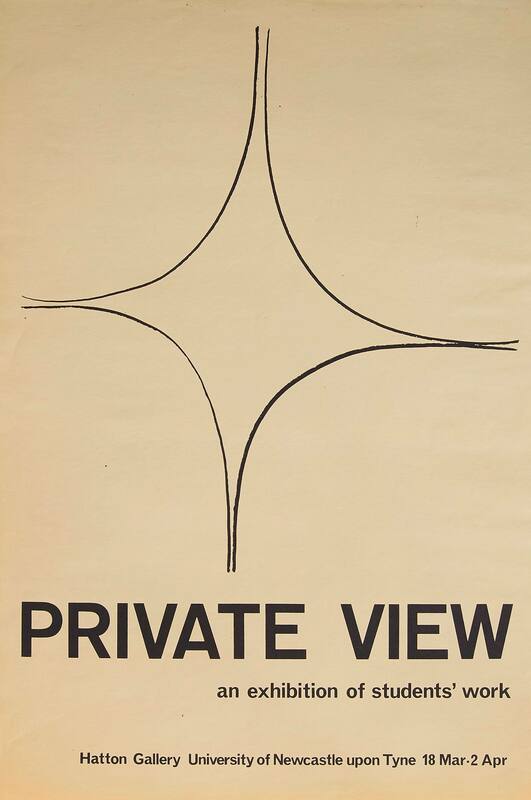 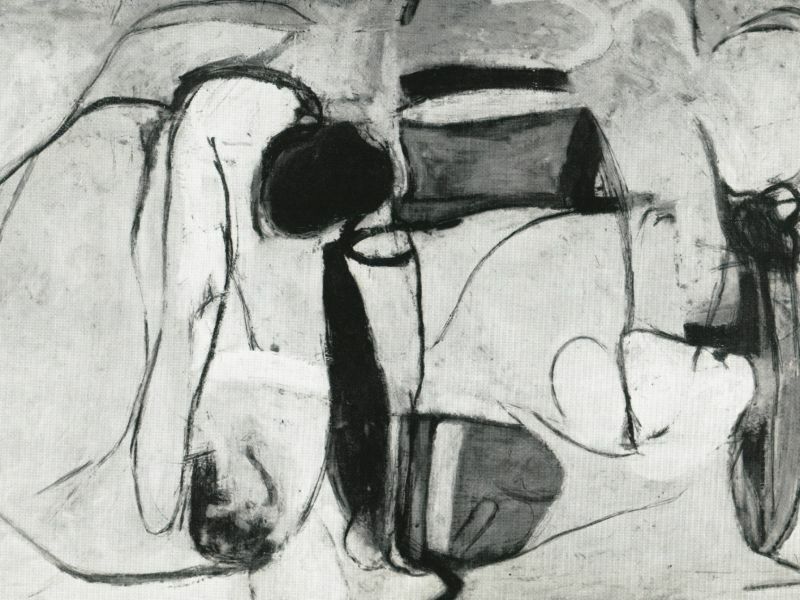 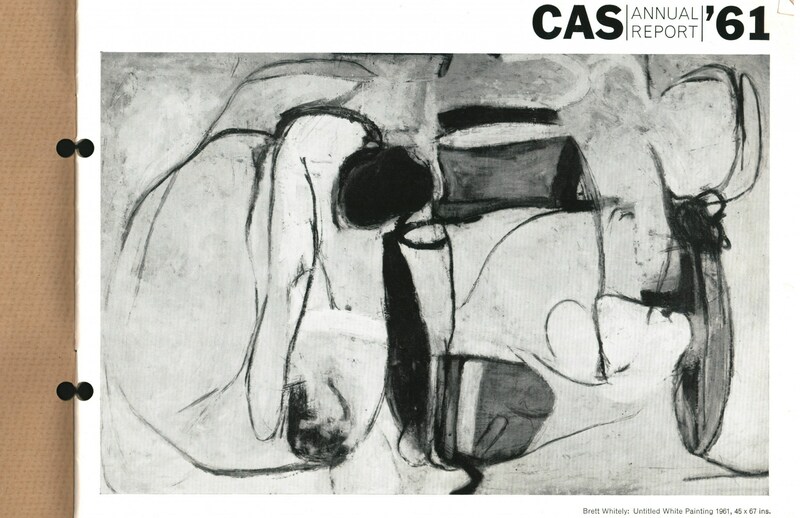 Through the 1960s the posters and catalogues for student exhibitions begin to look less like exercises from Pasmore’s ‘basic course’, with external influences from both pop and colour-field abstract art becoming evident. 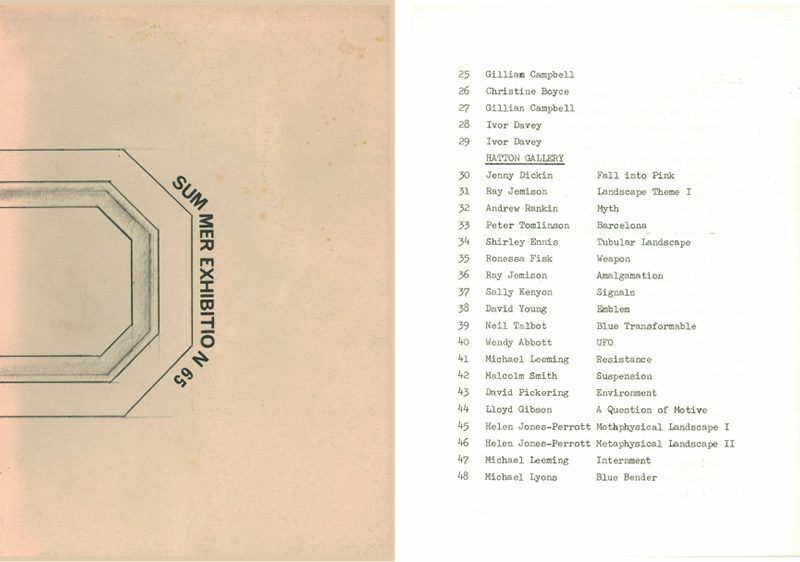 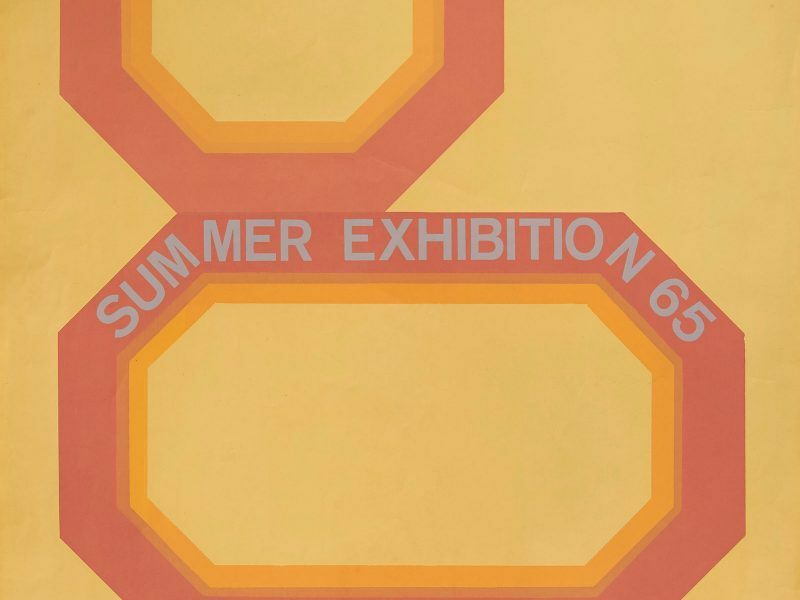 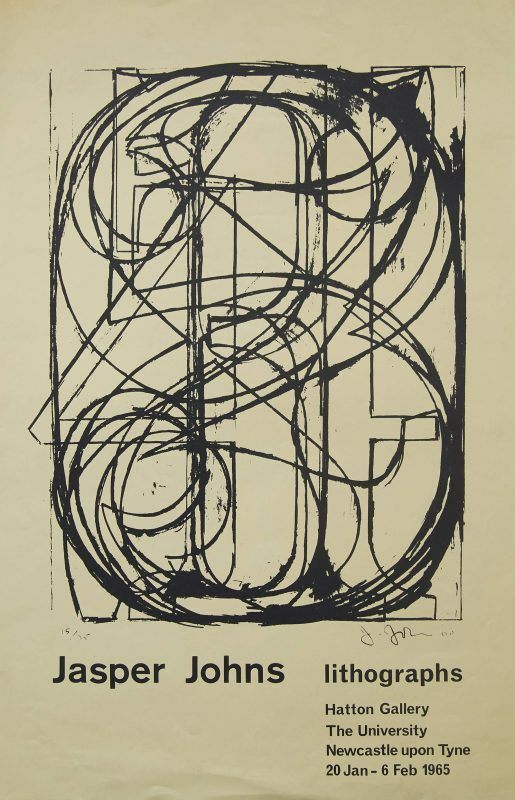 The cover catalogue for the 1965 Student Summer Exhibition utilises the same form found in the colour poster, but presented in a very different way. 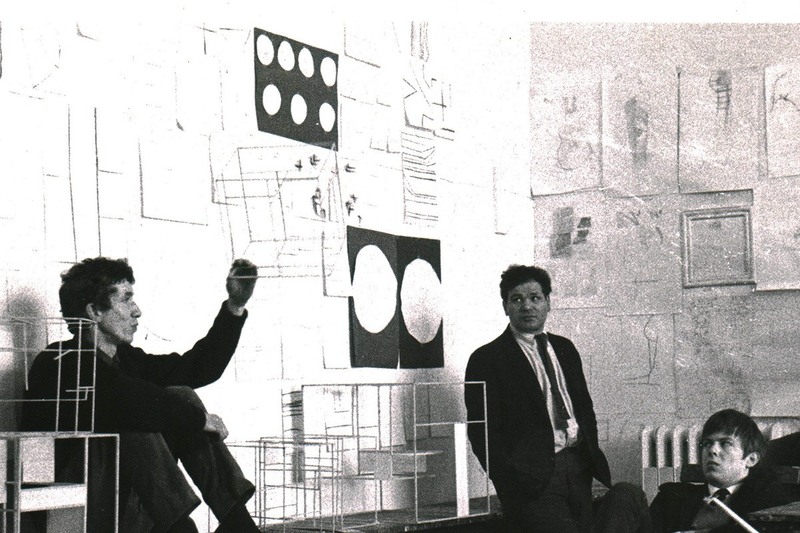 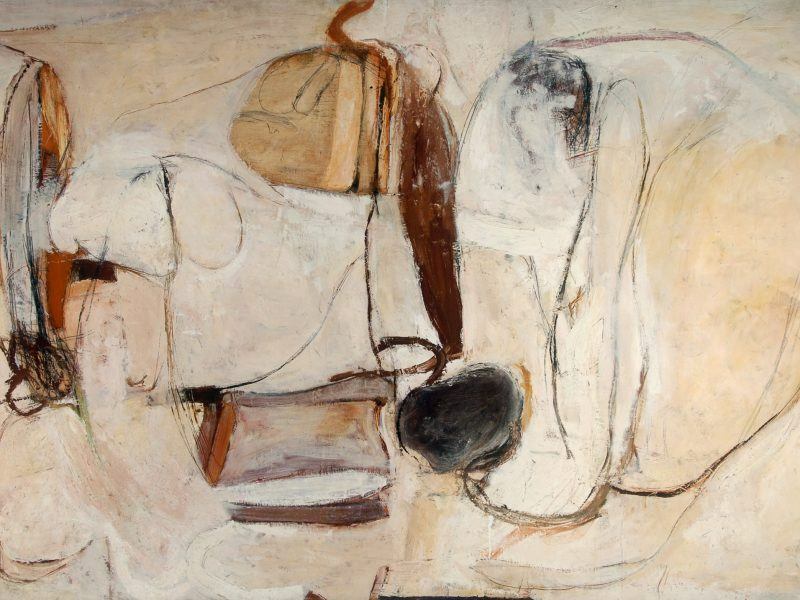 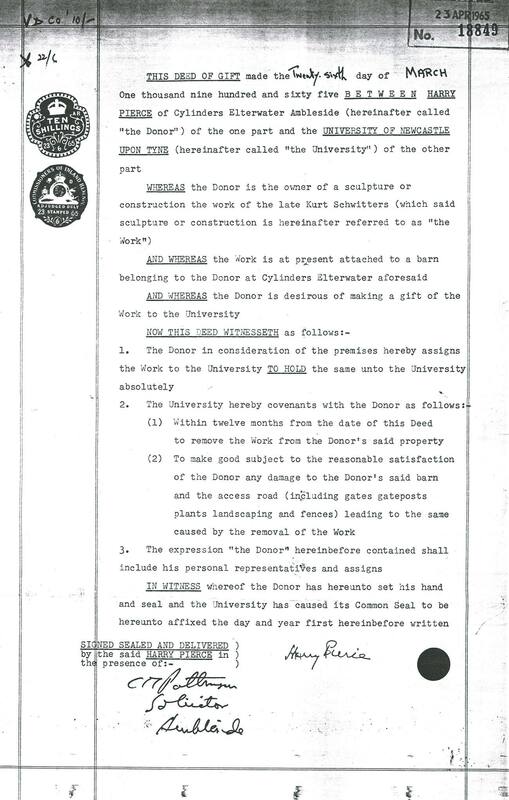 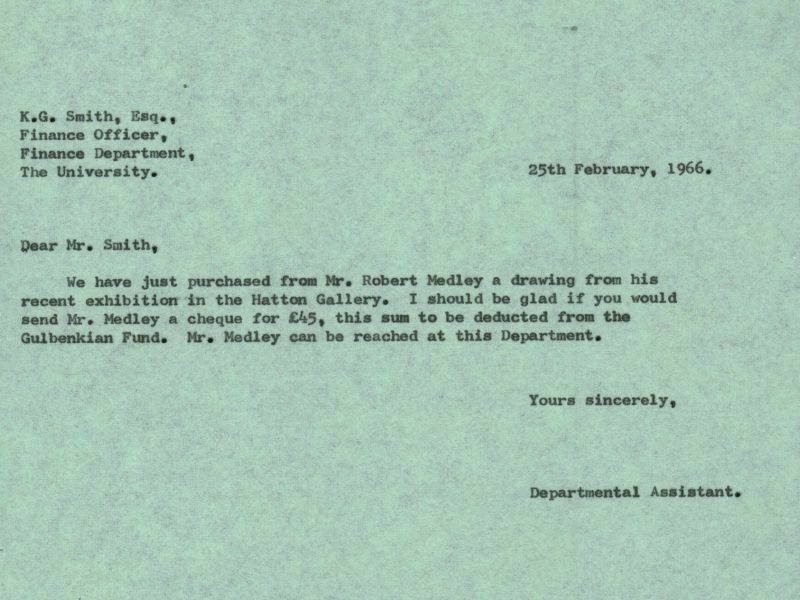 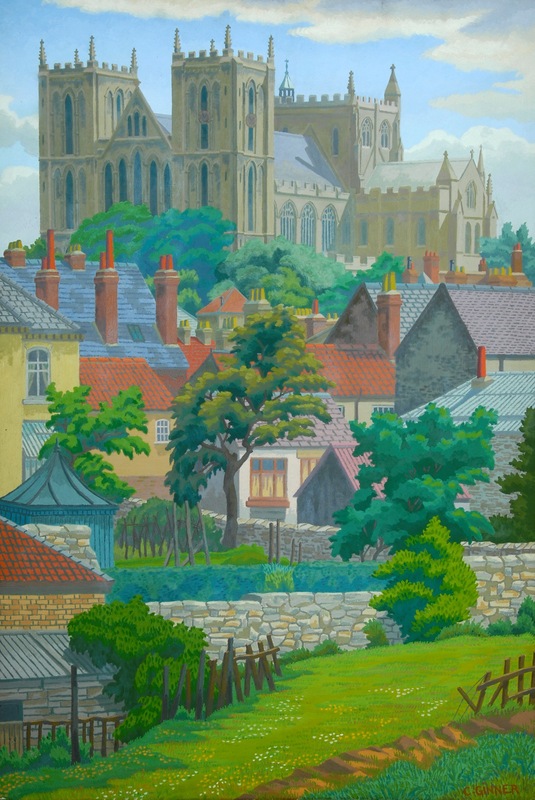 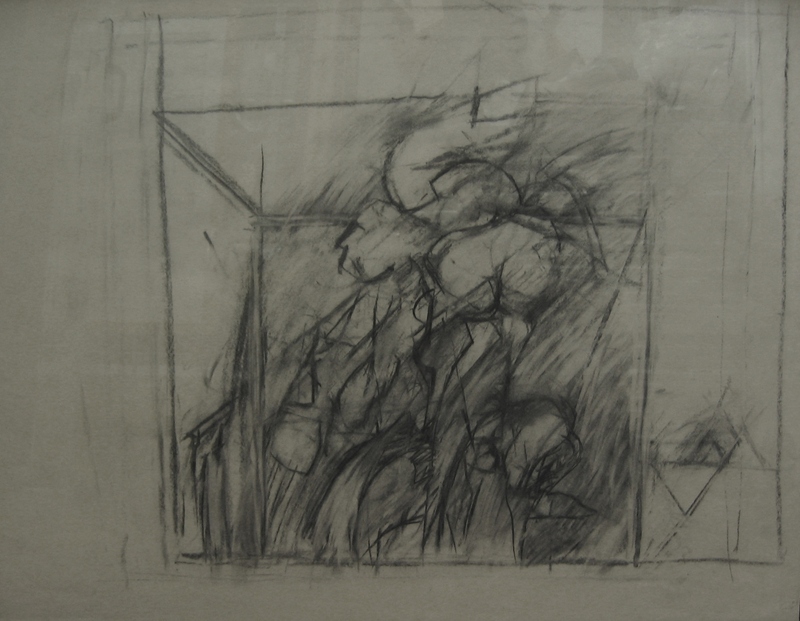 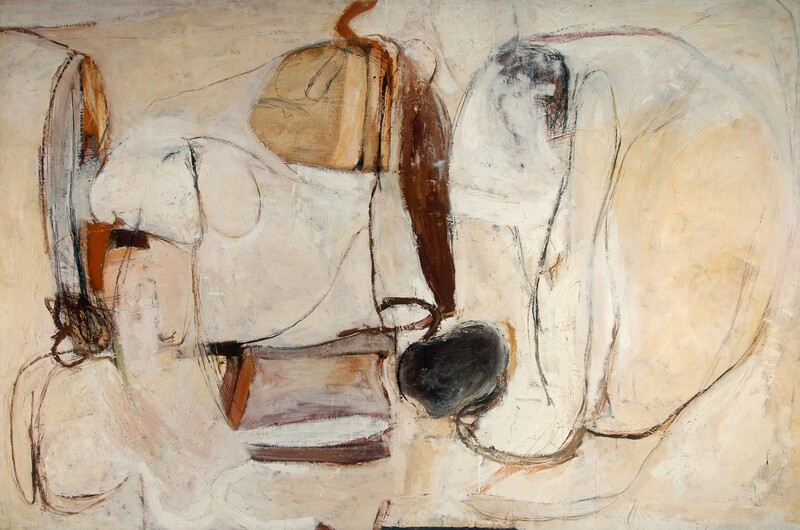 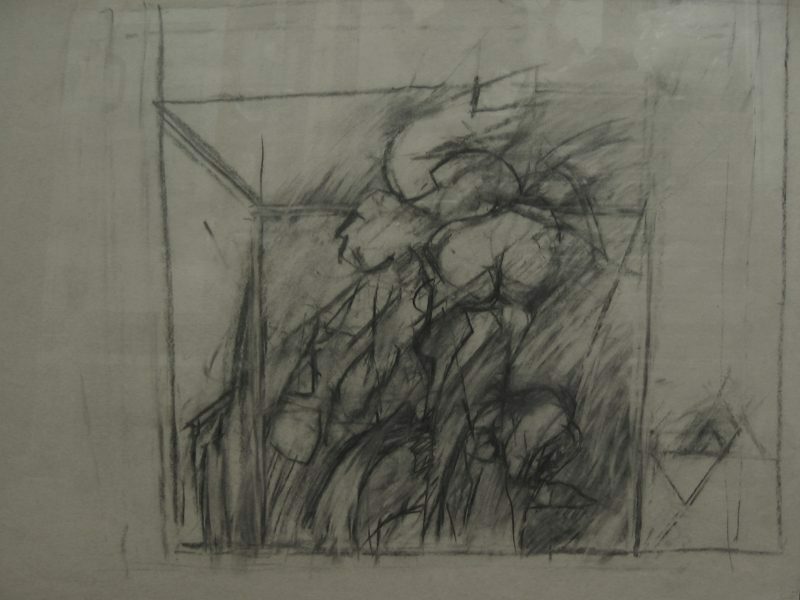 In 1965 the external examiner was Claude Rogers and the John Bell Simpson student prize winner was Stephen Buckley.